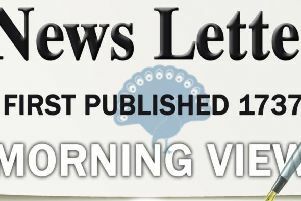 The News Letter must be praised for its editorial (‘The debate has long moved past whether an Irish act is standalone,’ August 2). While Arlene’s position regarding a standalone Irish language act is the right one, Ulster-Scots cannot be used as a trade-off in legislating for either language under the guise of an all-encompassing cultural act. Your editorial is correct in pointing out that there is no demand for legislating for Ulster-Scots, nor would enthusiasts use it for sectarian means. Aside from these two very valid points, the unionist community, generally, does not buy into Ulster-Scots. Ulster-Scots was used as a trade-off for Irish in 1998 because the inclusion of an Irish language body was a red line issue for nationalists then. David Trimble, then leader of unionism, had previously helped found the Ulster Society in 1985. The idea was a good one, which was rooted in history, through the formation of Unionist Clubs across the Province, in order to mobilise unionists. The focus of the Ulster Society was to promote Ulster-Britishness. Ulster-Britishness is somewhat more inclusive, all-encompassing and something which the unionist people feel more drawn to. Unfortunately, when Trimble panicked and pushed Ulster-Scots as an alternative to Irish, the Ulster Society was doomed. Britishness is something that Sinn Fein fear. That is why they target the Union flag, which includes the Cross of the Apostle Patrick which represents Ireland. Britishness must be the focus of our unionist politicians, as it is the lynchpin that holds the unionist community together.